If you are looking to enjoy the outdoors before the snow flys and enjoy the fall colors, the City of Bishop is an ideal place to do it. Known for its temperate fall weather, this Eastern Sierra community is custom made for outdoor enthusiasts. Consider beginning your day at the Black Sheep Coffee Roasters on Main Street. They serve rave-worthy, hot breakfast sandwiches, baked goods and eye-opening coffee. Once your appetite is satiated, you’ll have your pick of outdoor activities. Fall colors are in full force. 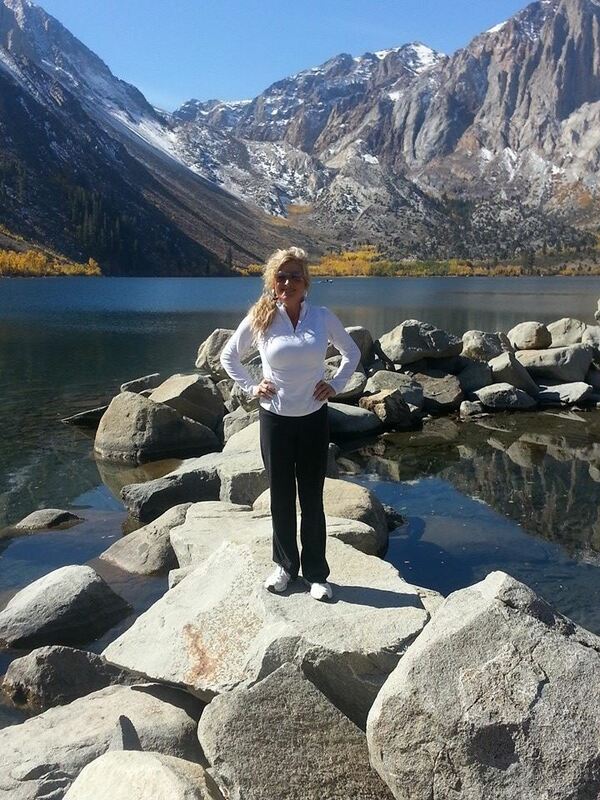 A perfect time to walk the trail around Convict Lake to see all of it's beauty. Wilson’s Eastside Sports can help set you up for a day of fun at the famed Buttermilk Boulders and Volcanic Tablelands. They are excellent places to go hiking, mountain biking, ATV riding, bouldering and rock climbing. Although there are multiple places to climb in the Eastern Sierras, two of the more popular are the Happy and Sad Boulders. Situated outside of Bishop in a modest canyon, they are accessible from the Chalk Bluff area. Both feature climbs of varying difficulty. Fall is the perfect time to visit the climbing hot spots because of the weather. Of course the previously mentioned recreational activities are not all that you’ll find on offer in Bishop. There are also opportunities to go trout fishing, horseback riding, camping and wildlife watching. Places that offer such activities include Bishop Creek Canyon and the Owens River. Prefer not to break a sweat or pull out a fishing pole just yet? You could always partake of Bishop’s outdoor community events and historic sites instead. In the fall, you are apt to encounter classic car shows, outdoor swap meets and open-air pie auctions. As far as historical sites go, one to put on your list is the Laws Railroad Museum. Open year round, it’s a sprawling tribute to the former Village of Laws. The intriguing museum features historic buildings, railroad cars and meticulously landscaped grounds. For many, the grounds should prove to be an ideal, low-impact place to take a stroll. Would you like to learn more about the wonderful outdoor activities Bishop and the surrounding Eastern Sierra communities have to offer? If so, please contact us through our Sierra Resort Real Estate Mammoth Lakes, California, Facebook page or call (855) GO-MAGGIE. When you do stop by our Facebook page, we hope that you’ll take a moment to “like” us too.